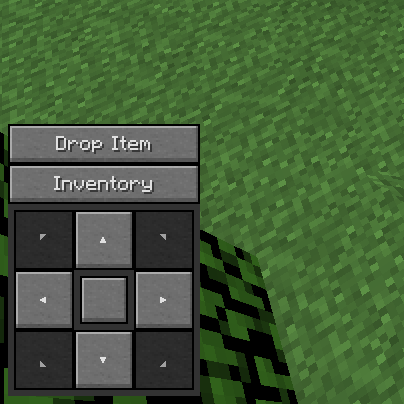 This mod adds the ability to play the Java version of Minecraft on a touchscreen tablet, running Windows or Linux, based on a x86 / x64 architecture. The goal of the project is to allow using MCPC totally keyboard-free and mouse-free, without compromising any features of the game, including mods ! You can activate in by using the Touchscreen optin in the Controls configuration menu. There is not much left to say right now... This will be completed soon. This mod is principally tested on Ubuntu 16.4.3, with touchegg beta. This mod NEEDS the libTUIO.jar file in your mod folder. The reals mod files has not been accepted yet, but you can download them on github. You can contact me on github or this discord. The package touchegg is required for this mod to work on Linux, not on Windows. My main focus is updating it to 1.12.x. Those willing to test the current state can download some builds from here : https://github.com/Aang23/MC-TouchControls/releases/tag/1.12.2 . I am not the original author, who is tschrock, he stopped developing this mod, so now I do. You have to download it on github. I'm uploading a new version soon. Curse DLs needs the TUIO executables to be moved out of the jar and auto - downloaded, this will get fixed soon. 1.12.2 has some instability so I re-wrote a major part of the code. Yes ! But you have to download it from github... Only the "lib" mod was accepted here right now. It is named "Source" at the bottom of the page. But it will be on curse soon.